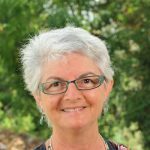 Rhonda is a Christian educator with over 30 years of experience teaching in both state and independent schools. She has fulfilled a number of roles including Teacher, Teacher Coach, Administrator, Acting Principal and Mentor. 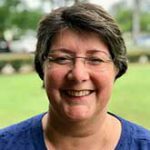 Rhonda previously spent six years as an Academic Advisor, her role included conducting professional development for teachers throughout Australia, Papua New Guinea, Fiji and Indonesia. 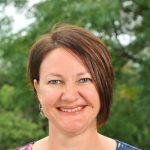 Rhonda holds qualifications in the fields of education, leadership and business management: Grad MSL, DipT, DipMgt DipBus DipBA, Literacy Specialist and has a desire to build strong relationships with parents, students, and staff. She is committed to working as a team to ensure students receive a Christ-centred education that promotes an active relationship with God and encourages academic excellence. Rhonda is dedicated to building teams who work together to achieve shared goals and visions. She has been involved in establishing and growing various educational facilities such as founding an Early Childhood Centre, beginning new schools, developing learning support units and initiating and managing several church-based ministries. Both Rhonda and her husband, Robin, are members of Good Shepherd Baptist Church. 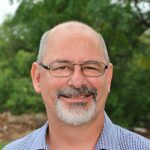 Robin has previously pastored a church in Central Queensland which owns and operates a Christian school. Robin held the dual roles of church pastor and school pastor. Robin and Rhonda have seven children. As a family, their ministry for the Lord has been a journey that has taken them on many adventures from living in the city to living on a remote sheep station. 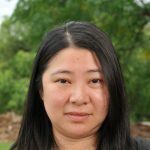 Xuan joined GSCS after 19 years with Qantas where she worked in various roles including Customer Service Agent, Sales & Ticketing and Administration – alongside the Customer Service and Operations Managers. She holds an Associate Diploma in Hospitality Management and Cert IV in Travel Management. Xuan made the decision to follow Christ in 2002 when she began attending Good Shepherd Baptist Church. She is married with two children, both currently attending GSCS. Her interests include travelling, reading old books, music and spending time with family and friends. 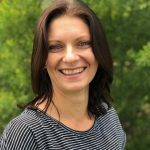 Melissa moved from New Zealand to Byron Bay with her husband in 2006, becoming PA to the local church pastor and organising a number of church, charity and fundraising events. Her family moved to Brisbane in 2013 and currently has 2 children at GSCS. She commenced working for the school in November 2014. Having grown up in church, Melissa had known about God all her life but made the decision to follow Him whilst attending youth group in New Zealand at age 15. She grew up playing netball and volleyball and continued playing until moving to Brisbane. Melissa has a love of cooking. Michelle comes to GSCS with over 30 years Administration and 16yrs finance experience. She has lived in Brisbane her whole life and enjoy spending time with family, friends, going to the movies and reading. She came to know the Lord at the age of nine and is an active member of her local church. David became a follower of Christ during his senior schooling, under the preaching and witness Youth Pastor linked with the Christian school he attended. David is married and holds a Bachelor of Education, majoring in Health & Physical education and Music. David has been working in the State school education system as a chaplain for 8 years before studying education as a mature age student. 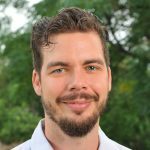 David joined the GSCS staff team in 2018. His hobbies include social sport, creating music and travelling. David believes in the difference education and teachers can make in the lives of every young person. Gillian is married with two teenage children. She studied a four year Higher Diploma in Secondary Education with Mathematics major. She has many years teaching experience teaching in both Secondary and Primary Schools. Gillian came to know the Lord as a child of twelve years old and was baptised at the age of nineteen. She is passionate about the Word of God and creationist Science. Gillian loves art, music and everything to do with the ocean. 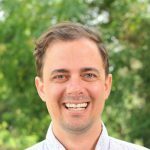 Jonathan commenced his Bachelor of Education after a career in Business Development. He majored in Business and Modern History, subjects that reflect his background and interests. Jonathan is able to bring the skills that he has developed over his career into the classroom for the benefit of the students. Jonathan is married with five children, ranging from primary school age to high school age. Jonathan has known Christ his entire life and has been brought up knowing the reality of God’s love through relationship. Ina is married with two little boys. She has a Masters degree in Engineering (chemical) and worked as a process engineer for 8 years. She had the privilege of travelling extensively as a result of her projects and stayed in Germany for two years. She grew up in a Christian home surrounded by family in the ministry and served the lord from a young age. During her time in Germany her faith was challenged by atheists and she started investigating why she believed. Her faith in Christ as the only way to salvation grew and she became interested in Christian Apologetics. Ina and her husband came to Australia in 2015. When her first boy was born she focused on his development and decided to make a career change. A desire to do something truly meaningful and share her knowledge lead her to teaching. She completed a graduate diploma of teaching and learning and completed two of her placements at GSCS. She loves spending time with family, to travel and bush walking. Ramona grew up in a Christian home and trusted God as her Lord and Saviour at an early age. 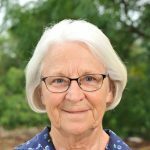 She recently moved from Rockhampton with her family where she served in her local church for 15 years in a variety of ministries. She holds a Bachelor of Learning Management, Secondary. Ramona is married with four children, two of whom attend GSCS. She enjoys spending time with family, reading and cooking. 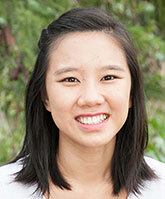 Wenna has completed a Post-Graduate Diploma in Secondary Teaching, majoring in Chinese and ESL. She also holds a Bachelor of Art in Translating and Interpreting, and a Master of TESOL. Wenna is NAATI’s accredited translator in Australia. 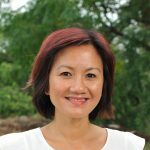 She has 6 years of teaching experience in both China and Australia. 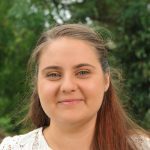 Wenna is passionate about language teaching and learning and loves spending time with her family and friends, singing, swimming and shopping. Sarah holds a Diploma in Business Administration, a Diploma of Business Management and a Bachelor of Learning Management (Primary Education). Having spent two and a half years in Thailand with her family, Sarah had the opportunity to teach English to a variety of age groups and served in the local church there, assisting in the music ministry. Sarah has been a long-time attendee of Good Shepherd Baptist Church and is involved in different ministries, particularly the music ministry. Reading and travelling are her interests, having had the opportunity to travel to a number of different countries, seeing and learning about different cultures. Sarah was born into a Christian family and was saved at 6 years old through the influence of her primary school teacher. Lisa holds a Bachelor of Education (Primary). Having worked at GSCS as a teacher aide in 2010, she felt the Lord leading her to teach at GSCS upon the completion of her degree. Lisa has the heart to see young people discover the Lord for themselves and grow in their knowledge of the Bible. Blessed to be raised in a Christian family, Lisa received Christ as her Saviour at a young age and has been part of Good Shepherd Baptist Church for many years, being involved in many ministries, and is currently overseeing the orchestra at GSBC. 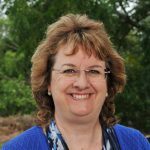 Lisa also has a burden for missions and believes in supporting God’s work both in Australia and abroad. Jordan holds a Bachelor of Education (Primary). He has taught in various Christian schools and spent some time at GSCS completing his 4th Practicum and internship. Jordan gained extensive experience in business management prior to becoming a teacher. He is passionate to be a role model and believes all children are important and valued; this has been the driving force to his education degree. He grew up in a Christian home and was saved as a primary student. He is married with a young family and his interest includes old cars and is part of the management team of the Parrot Society of Australia. Chelsea holds a Bachelor of Primary Education majoring in Health and Physical Education and joined the GSCS team in 2019. Chelsea was saved at age 9 and continues to seek to grow in her faith every day and is passionate about taking every opportunity to encourage others in their faith. 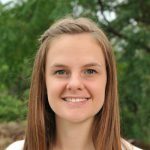 Chelsea is married with 2 children and when she is not at school teaching PE, she loves serving Jesus in ministry alongside her husband who is a Youth Pastor. Her hobbies include social sport, reading, listening to music and catching up for coffee with friends. Glynis Blake has an Honours degree in Science, a Bachelor of Education (with Distinction), and a Master’s degree in Education majoring in Special Education. She has worked at Good Shepherd Christian School since its inception in 1983. 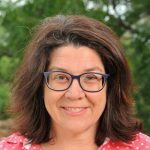 Glynis brings to the school a wide breadth of experience and knowledge, She is an honorary staff member serving as Enrichment Consultant supporting student learning and advising teachers. Glynis enjoys reading, learning, music, and time with family. Glynis was saved in 1961 at a young people’s camp. 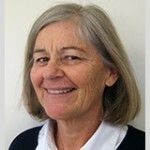 Patricia Dingle holds a Diploma of Teaching and Bachelor of Education and has been involved in teaching for many years. 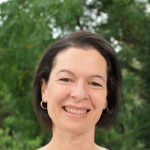 She has taught in a variety of schools including state and private schools in N.S.W., Queensland and Tasmania. Pat is our Enrichment Teacher, supporting student learning and providing support to teachers through teacher mentoring and coaching. Her interests include reading, gardening and outdoor activities. Her formative Christian years occurred through Baptist churches in the Lismore area. 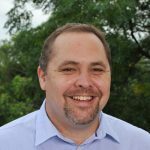 Paul Haycock has a Diploma of Theology earned from Sydney Bible Baptist College and has completed all Government compliance courses required for Queensland chaplains. Paul has been Good Shepherd Christian School Chaplain since 2009 and is involved in the GSBC Youth ministry. Paul likes fishing, spending time with family and participating in most sports and was saved at age 16 at a small Baptist Church in Northern NSW. Tegan holds a Bachelor of Education (Early Childhood). During her final year at university, Tegan spent time at Good Shepherd Christian School both as a volunteer and prac student. Tegan grew up in a Christian family and committed her life to Christ at 8 years of age. Her positive Christian High Schooling experience fostered Tegan’s own desire to work in a Christian school herself. Tegan enjoys the arts and is passionate about mentoring young people in their walk with the Lord. 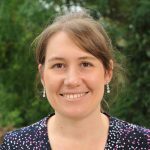 Rachel earned a Bachelor of Education (Primary) degree in 2012, with a specialisation in Early Childhood. Rachel always felt a calling to teaching, and following completion of her degree, then spent some time teaching the kindergarten program before transitioning into a position at Good Shepherd Christian School. Having grown up in a Christian family, she committed herself to the Lord at 6 years old was baptised at 16. 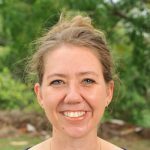 Rachel has participated in many short term mission trips into Aboriginal communities and into schools in Vanuatu. Her interests include baking, music and spending time with friends and family. 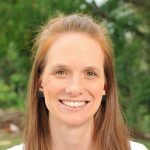 Laura holds a Bachelor of Education (Early Childhood and Primary) and has always felt a calling from the Lord to teach and loves journeying with children as they develop both spiritually and academically. 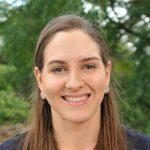 After graduating, Laura taught prep at a Christian school before transitioning to Good Shepherd Christian School. Laura grew up in a Christian home and committed her life to Christ at the age of seven. She enjoys serving in the youth and music ministries at church and has been involved in short-term missions. Laura’s interests include music, all things crafty and spending quality time with her family and friends. Laurel previously worked as a Library Technician for 7 years in a large public library, gaining valuable experience in a wide area of library duties. At Good Shepherd Christian School she was instrumental in starting the new library in 2011. 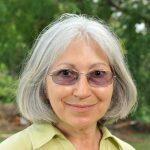 Laurel has completed all the grades for piano through the Australian Music Examination Board and teaches many of the school students after school. At the age of 9, Laurel came to know Christ as her personal Saviour, through an Independent Baptist Church in Gladstone. 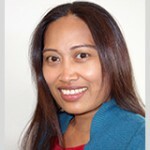 Born and raised in the Philippines, Marilyn moved to Australia in 2001. In 2005 her family moved to Spain due to her husband’s contract work, where she ran a holiday business. In 2008 Marilyn and family returned to Australia and she came to the Lord in 2013. Since that time Marilyn has attended Good Shepherd Baptist Church and began working as a Teacher Aide at GSCS in 2014. She has 2 children attending Good Shepherd Christian School. Her interest is cooking. Born in Eastern Europe, Julie and her family migrated to Australia in 1963. She came to know the Lord and baptised at the age of 15. Since that time Julie has worked in the banking industry and has been a member of Good Shepherd Baptist Church for 4 years. She enjoys reading, knitting, needlework, cooking and chocolate and dislikes anything lukewarm! She joins our Good Shepherd Christian School team with 18 years of teacher aide experience. Nicole has been part of the Good Shepherd community for a number of years and currently serves as a Teacher Aide while studying a Certificate III in Education Support. She came to know the Lord in 2006 and since attending Good Shepherd Baptist Church in 2007, has been heavily involved in the catering ministry and now works alongside her husband in leading the church’s Youth Ministry. Nicole spent the majority of her adult life working in banking and finance, and now finds a great passion in assisting teachers and students in our Christian school environment. She is the mother of two girls who both attend Good Shepherd Christian School and thoroughly enjoys baking, searching for the perfect cup of coffee and spending time with her family. Gerda came to know Jesus at the age of 8 when a guest speaker attended her local church in the little town in South Africa where she grew up. She has been a middle school teacher for eleven years and specialises in working with children with special needs. Gerda and her husband immigrated to Australia in 2011 with an eighteen-month-old and a few suitcases and hasn’t looked back. Gerda knows God has been beside her and has guided her every step on this journey so far. Her hobbies include reading, movies and baking! 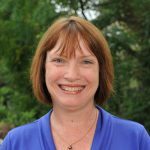 Carolyn has worked in various roles within administration and finance, working in Christian schools. 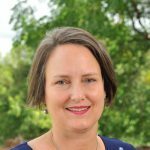 Carolyn recently moved to QLD in April of 2017 and her two children attend GSCS. Carolyn was brought up in a Christian family. Her father is a Pastor in NSW and they were also missionaries to Malta. She came to know the Lord at the age of seven after hearing a sermon from Evangelist Brother Glen Weeks. Carolyn is currently studying her Diploma in Early Childhood and thoroughly enjoys watching the children grow and learn more about the Lord. Madalyn completed her studies in South Africa and is a qualified Primary Teacher. 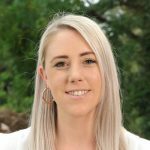 Madalyn moved to Australia in 2017 with her husband and two children and joined the GSCS staffing team in January 2019. Madalyn was brought up in a Christian family and has known Christ her whole life. She is passionate about teaching and helping others to be the best they can be and about the love of Jesus. She enjoys reading books and listening to music and testifying about God’s grace, mercy and goodness in her life.